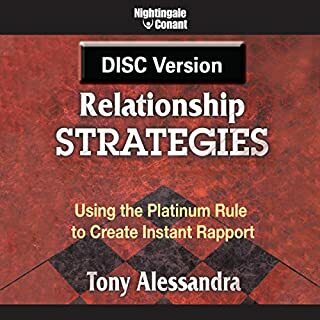 Narrated by: Tony Alessandra Ph.D. Personality differences: they're what make life so rich and fascinating - and often so frustrating, too. Especially at work, where teamwork and motivation are pivotal. Many of us never figure people out - we get along great with some people and deal as little as possible with others because they're so different from us. This book stores you how to easily implement skills into everyday communication. Essential for anyone who manages people or works for someone, and anyone who has any relationship: parents, children, partner, friends or siblings. Everyone basically!